The softwood trade agreement between Canada and the U.S. expired last October, and the two nations are currently in a one-year “cooling off period,” during which no wood-related trade disputes can be lodged. In addition, the two countries announced in June that despite more than three months of “intense negotiations,” they were unable to reach a new agreement. The NAHB reported at the time that the main point of contention was the fact that the U.S. wanted to reduce Canada’s share of the market to 22% over a four-year period. Therefore, the U.S. delegation’s recent trip to Chile will surely be seen as a signal to Canada that U.S. builders don’t intend to limit their options in seeking sources of affordable softwood. Canada and the United States are on the brink of yet another softwood lumber war, fuelled by a drastic jump in B.C. lumber exports to the U.S. and growing anti-trade sentiment. American sawmillers say they are ready to fire the first shot in what would be the fifth lumber trade war since the 1980s, if negotiations now underway don’t result in an agreement by Oct. 12, when a one-year standstill on trade action expires. … With no deal in sight, the influential U.S. Lumber Coalition lobby group has assembled an entire office full of documents against Canada’s lumber industry, which it plans to submit to the U.S. government after Oct. 12. That will likely kick off a chain of events that will result in duties being applied to Canadian lumber by next year. After weeks of layoffs and business closures in the north, The Pas and Churchill got some good news Monday. Talk of partnership dominated meetings in The Pas Monday as union officials, mayors, business owners, First Nation leaders and provincial cabinet ministers discussed how to avoid a job loss crisis and the looming closure of the local Tolko paper mill. Chief Arlen Dumas of the Mathias Colomb Cree Nation said the meeting was historic and probably one of the first times in recent history that everyone with an interest in the mill sat down at the same table to chart a path forward. …Scott said it’s possible a consortium could form to take over the Tolko paper mill and Hudson Bay rail line in The Pas. 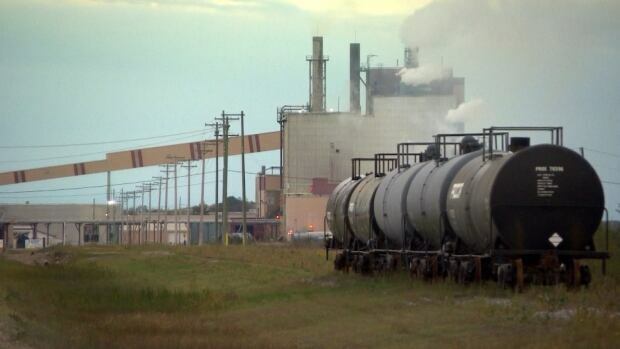 Time is running out for the mill in The Pas as Progressive Conservative ministers visit the northwestern Manitoba town that faces the loss of its biggest employer. 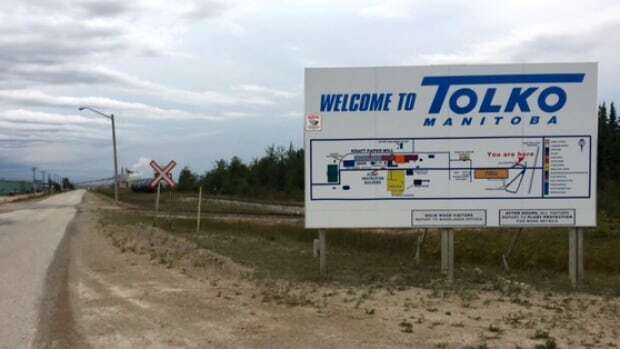 The 300 workers at the Tolko paper mill in The Pas learned in August that the B.C.-based company plans to shut down operations on Dec. 2. Manitoba Growth, Enterprise and Trade Minister Cliff Cullen will sit down today with community leaders from around the region. They will brainstorm about what to do as they face the imminent closure and the loss of the $37-million payroll. Exports of Southern Pine lumber remained at a hefty level in July, amounting to just over 59 million board feet (MMbf). This volume represents a big bump of 31% above the same month last year, contributing to a significant year-to-date increase of 14% when compared with the first seven months of 2015, as the Southern Forest Products Associationsays in the press release received by Lesprom Network. Offshore shipments during July roughly break down as 30.1 MMbf dressed, 12.5 MMbf rough, and 16.6 MMbf treated lumber. Softwood lumber imports to the U.S. remained steady in July, reaching 1.4 billion board feet (Bbf), up 36% from the volume imported during July of 2015. Tree Houses: Is Wood Really The Future Of Skyscrapers? The plyscraper. That’s what everyone’s calling the latest trend in urban architecture. Now officially approved for construction in Amsterdam in 2017, a 21 story, 73 m (239.5ft)-tall structure – named HAUT by its architect, Team V Architectuur – should become the world’s tallest wooden-framed building. But they might have a race on their hands. PLP Architecture and University of Cambridge researchers have their own project in mind – at 300 m (984ft) tall, their Oakwood tower – proposed to form part of the Barbican estate – would dwarf HAUT. Tall wooden-framed buildings are proposed for other cities too, including Stockholm’s Trätoppen, the Baobab in Paris, and Vancouver’s rather-descriptively named Tall Wood Building. So why the move to timber? Well, believe it or not, a lot of it is to do with sustainability. Aaron Fenech is a Gold Coast based guitar-maker. His handcrafted guitars are sought after around Australia and internationally. Aaron started work as a builder before studying environmental science. He began making guitars as a hobby in his garage but as his passion for Luthiery grew, Aaron took the plunge, ditched his public service job and began making guitars full time. … John looked around Europe for guitar workshops and decided that Australian timbers were what he wanted to work with. “I’m lucky enough to have a number of guitars and I wanted something that was totally different from what I had before,” he said. Aaron uses a selection of Australian timbers in his guitars, sourcing the timber sustainably from within a 250-kilometre radius of the Gold Coast. Although the migration of western toadlets from Whistler’s Lost Lake happens every year, this year’s journey proved unique. The migration period was longer, and a new route chosen by the tiny toads prompted the municipality to close Lost Lake Park, as well as its parking lot and access road, for the first time. As part of the Association of Whistler Area Residents for the Environment’s (AWARE) Green Talks Series, local biologist Kristina Swerhun from the Whistler Museum’s Discover Nature Program was on hand on Wednesday (Sept. 7) to help shed some light on this year’s notable migration and answer some community questions about the toads. About 20 people attended the talk, held at the Whistler Museum. Over 10,000 of the world’s leading conservationists came together at the International Union for Conservation of Nature (IUCN) World Conservation Congress last week to take immediate action against aggressive goals set by 200 nations in 2015. Participants include heads of state, policymakers, CEOs, leading scientists and highly influential non-profit organizations, including the Sustainable Forestry Initiative (SFI). According to IUCN Director General Inger Andersen, “No IUCN Congress before has come at a more pivotal time for humanity’s relationship with the environment.” The historic gathering, themed “Planet at the Crossroads,” took place from September 1-10 in Honolulu. The woolly adelgid, an invasive pest that infests and eventually destroys hemlock trees, has made one incursion into Eastern Canada and biologists say it’s likely to turn up again. Like the Asian long-horned beetle and the emerald ash-borer, it’s a foreign invader that’s threatening forests in Eastern Canada and the urban tree canopy. The first sign of hemlock woolly adelgid is often a white woolly mass at the base of needles of a hemlock tree, says Erin Bullas-Appleton, a plant survey biologist with the Canadian Food Inspection Agency. The tiny insect, less than 1.5-mm long, produces a wool-like wax to protect its eggs, which are usually deposited on the underside of hemlock needles at the tips of the branches. Dylan Kruse is Policy Director for Sustainable Northwest, a Portland-based conservation group specializing in organizing and managing grass roots collaboratives that work programmatically in forest, water, range land and energy conservation and development. Founded in 1994, the non-profit Strives to identify common ground among rural and urban stakeholders. It currently assists 33 collaborative forest restoration projects in Oregon and Washington. …Mr. Kruse is a Lewis and Clark College graduate, and holds a degree in International Affairs. In this interview, he answers questions concerning Sustainable Northwest’s forestry programs. SAN FRANCISCO – A researcher may have figured out that albino redwoods — long considered freeloaders — contribute to the health of California’s deep green redwood forests by clearing toxins. 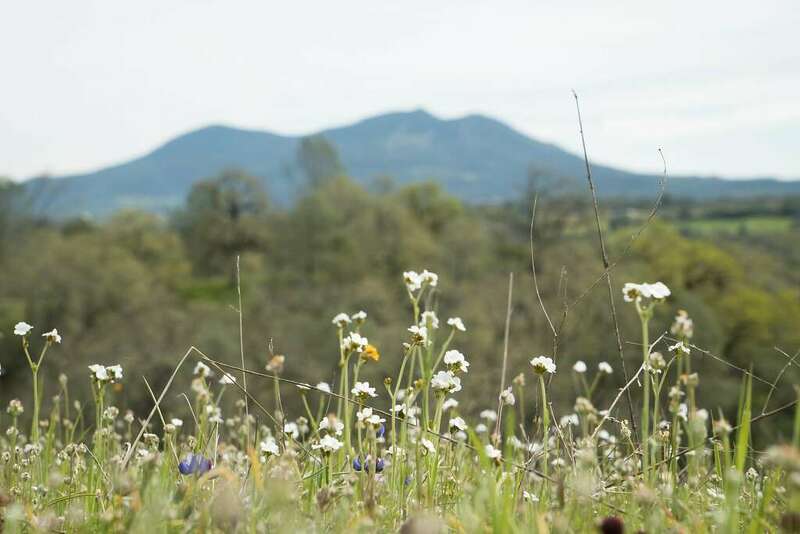 The trees appear to act as a liver or kidney, filtering toxins from the soil around them, San Jose researcher Zane Moore, a doctoral student at UC Davis, told The Mercury News. Zane has analyzed the needles of the redwood leaves in a lab and found that they contain high levels of the toxic heavy metals nickel, copper and cadmium. “They are basically poisoning themselves,” Moore told the newspaper. They appear to be drawing away and storing pollution, some of it occurring naturally in the soils and some left from railroads, highways and other man-made sources that otherwise could degrade or kill redwoods. It is but an early step in a long legal journey, but the Linn County officials who are suing the state over the management of state forest trust land had to be pleased with Linn County Circuit Judge Daniel Murphy’s ruling this week. …Despite objections from state lawyers that the class would be too unwieldy, Murphy concluded that the requirements for a class-action suit apply, but added that it is premature to certify the class. If the suit survives the summary judgment phase, the judge wrote, then certification would be appropriate. Murphy also swept aside a variety of motions from the state asking for the case to be dismissed. A mix of anger, gratitude, resignation and curiosity was aswirl in the air of the Grand Encampment Opera House Sept. 1. About 75 people packed into the historic building for an informational presentation on the Beaver Creek and Broadway Fires burning south of Encampment, and tension was rife among some attendees. …Despite saying they had done their best to suppress the blaze early on, it was evident that several of the responders saw the flames as providing some benefit to the largely beetle-killed area. 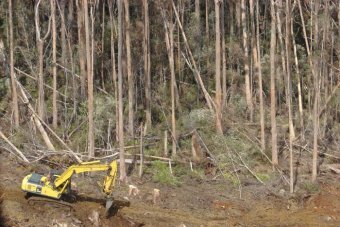 The fire, Fullman and Hagan noted, was burning in a “mosaic” pattern that would allow for fast regeneration of the forest. “It’s not 37,000 acres of black trees. Actually, within that area there’s probably 20 or 30 percent that didn’t even burn at all,” Giller agreed. Last week, Sen. John Boozman and I embarked on a tour of our state’s multibillion dollar forestry industry. The Seed to Sawmill Tour brought us to six counties across south Arkansas where we were able to see tens of millions of seedlings beginning a life cycle that will lead to sustainable use of our forests. We saw sustainable harvesting of timber and its final production into building materials and so much more. The Seed to Sawmill Tour also took us to the U.S. Forest Service’s Experimental Forest in Crossett, where we learned about years of research that continues to help us have healthy forests. BREZNIK, Bulgaria, Sept 13 (Reuters) – Pine forests planted in Bulgaria to combat soil erosion are falling prey to a beetle that is feeding on trees already weakened by excessively hot weather, dense planting and a lack of proper logging in the years after the fall of communism. More than 7,000 hectares of pine forest in the Balkan country perished due to bark beetle attacks in August alone – an area three times bigger than in previous years, said Tsenko Tsenov, the director of Bulgaria’s forest agency. The beetle problem concerns pines planted on around 680,000 hectares of land since the 1950s at lower altitudes than they grow naturally to help fight soil erosion. Trees have friends, feel loneliness, scream with pain and communicate underground via the “woodwide web”. Some act as parents and good neighbours. Others do more than just throw shade – they’re brutal bullies to rival species. The young ones take risks with their drinking and leaf-dropping then remember the hard lessons from their mistakes. It’s a hard-knock life. A book called The Hidden Life of Trees is not an obvious bestseller but it’s easy to see the popular appeal of German forester Peter Wohlleben’s claims – they are so anthropomorphic. Certainly, a walk in the park feels different when you imagine the network of roots crackling with sappy chat beneath your feet. SACRAMENTO, Calif. — Faced with a shrinking pool of inmates to help fight major wildfires, California is increasingly turning for new recruits to its state Conservation Corps, a program with roots in the Great Depression and a motto that promises “hard work, low pay, miserable conditions … and more!” Prisoners last year made up about 20 percent of California fire crews on several major blazes, where they used chain saws and hand tools to chew through tinder-dry brush and trees to stop the flames. A three-judge panel at the U.S. Ninth Circuit Court of Appeals on Sept. 2 denied a petition for review of a decision of the U.S. Environmental Protection Agency (EPA) granting Sierra Pacific Industries a prevention of significant deterioration (PSD) permit for construction of a new biomass-burning power plant at its lumber mill in California. The panel held that the EPA did not act arbitrarily or capriciously in granting this PSD permit to Sierra Pacific. …Addressing petitioner Center for Biological Diversity’s claims raised in response to the supplemental greenhouse gas BACT analysis, the panel deferred to the agency’s determination because EPA was largely relying on its own guidance, acting at the frontiers of science.